Young Guns 8 winner Alec Brownstein recently unveiled his latest project: Mitt-Flops.com – Politically Expedient Footwear. 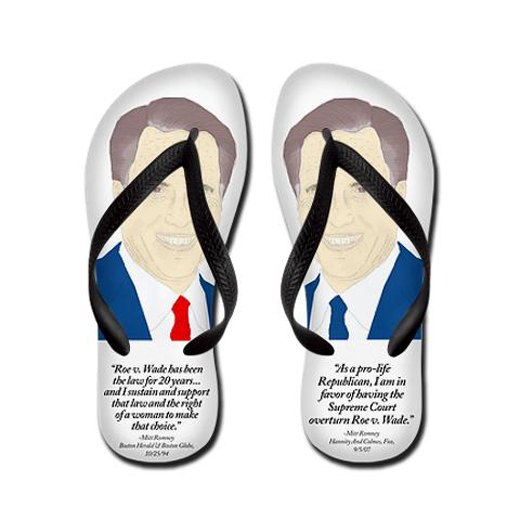 About Mitt-Flops: Mitt-Flops are open-toe thong sandals designed to make sure you can feel the shifting political winds. Is the climate feeling conservative? Stand on your right foot. Looking liberal out there? Stand on your left foot. 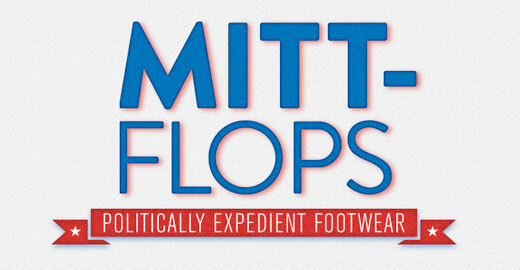 With Mitt-Flops, your footwear will be popular in any political climate. All Mitt quotes are real.